Shepherd Neame beer is not a favourite of mine. OK pub near the station. Convenient but not particularly memorable. Nice refurb but still lacks something. Ales are mostly Sheperd Neame dribble... yucky. No live music seen now either..
Bar snacks are tasty though!!! Nice selection of the more unusual shepherd neame ales on tap. 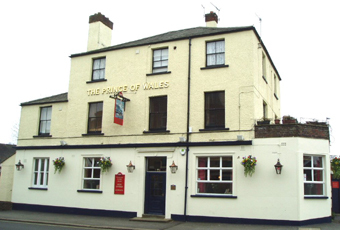 The pub has recently been refurbished inside so it is very smart but still friendly. There is a beer garden overlooking the railway with a ping pong table. Right next to reigate station so very handy! Great refurb. Beer good and the pub is really alive. Well done. I would scrap any of the reviews below. When a pub has a complete refurb (which it has done, and looks great), it completely changes the atmosphere of the pub. Not only the customers that walked through the door, but also the enthusiasm of the bar staff. I know this site mainly entertains the CAMRA crew, so you may not be able to please everyone. Just go in and check it out for yourselves. Great atmosphere now, new beers on tap, and wine available. Maybe you will change your opinion.